Power Up is a high energy ministry where kids discover how to know God, make wise choices, and treat others the way they want to be treated! We take 36 virtues and 150 different bible stories and teach them in a fun and exciting way incorporating songs, drama, small group interactions, and games. We also help bring home and church together so parents are teaching the same things and guiding kids to apply these truths. Each week holds great potential and power investing in the church of tomorrow! Power Up is held during the Sunday School hour, beginning at 9:45am on Sunday mornings and Wednesday evenings from 6:30pm-7:30pm. Children's Choir is a fun and exciting music education program where kids sing and learn movements to some of their favorite songs. We then perform for our church and families, showing off all we've learned. Children's Choir is held on Sunday evenings from 6:00pm-7:00pm. Ages 3 years old through 5th grade are welcome. 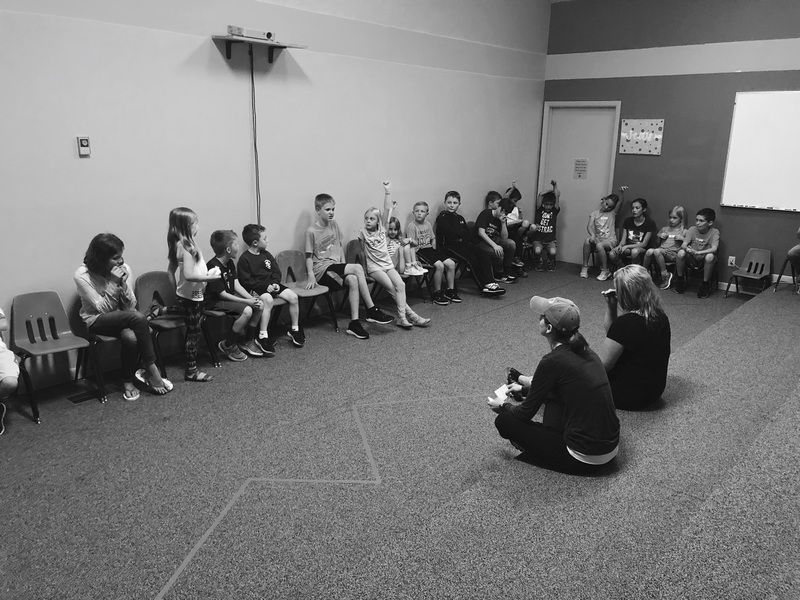 In addition to our security system, all of our Children's Ministry volunteers have passed a state and national background check and there are at least two volunteers present during each rotation that are CPR certified.